A good web hosting service provider is required to manage a high quality website. By using cPanel hosting from a good service provider, you can install different types of software applications quickly & you will get best services & support. cPanel hosting refers to web hosting plan that uses cPanel, it is the web hosting control panel which allows accessing quick & easy features & handling accounts. Today, cPanel is valuable for hosting companies & the leading control panel in the web hosting industry. cPanel provides plenty of user friendly & useful functions & features, so this web hosting has become one of the most popular hosting option. Below mentioned are features of cPanel hosting. It allows adding & maintaining domain & sub-domain to your hosting account. It allows mail management (POP3, IMAP accounts), corporate email address, blocking spam, & email authentication. cPanel file management tools keep your information organized. It has some tools like file backup, backup wizard, file manager, FTP, web disk & FTP session control. Database administration & MySQL control. It has advanced features like PHP, Perl, Ruby & Python. It has security tools to keep your server protected from unwanted visitors; it keeps your website up & running. It has protection tools like password protect directories, leech protection, IP denial, SSH/Shell access, Hotlink protection, GNUPG keys & SSL/TLS management. It has multiple benefits for users with easy management of accounts. cPanel is easy to install & it needs linux system environment, if you are using dedicated server then you will get pre-installed cPanel. It is very simple to handle & you don’t need high technical knowledge. It has features to support multiple domains & subdomains, so it is very convenient for multiple website users. It can integrate with Fantastico feature; this is an auto installer which supports 50 & more open source programs scripts. So with this feature you can setup website & manage applications. If you are going with cPanel hosting then you will get all these features & benefits. You can manage your website & hosting account easily & quickly. Today, many companies provide this hosting in affordable prices. Hosting service provider offers quick technical support & multiple services for best performance of services. SSD Hosting & HDD Hosting – Which One Is Best? 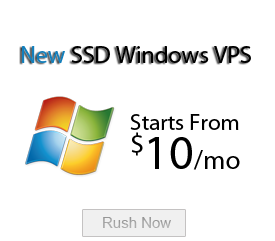 Why Should You Choose Windows VPS Hosting ?